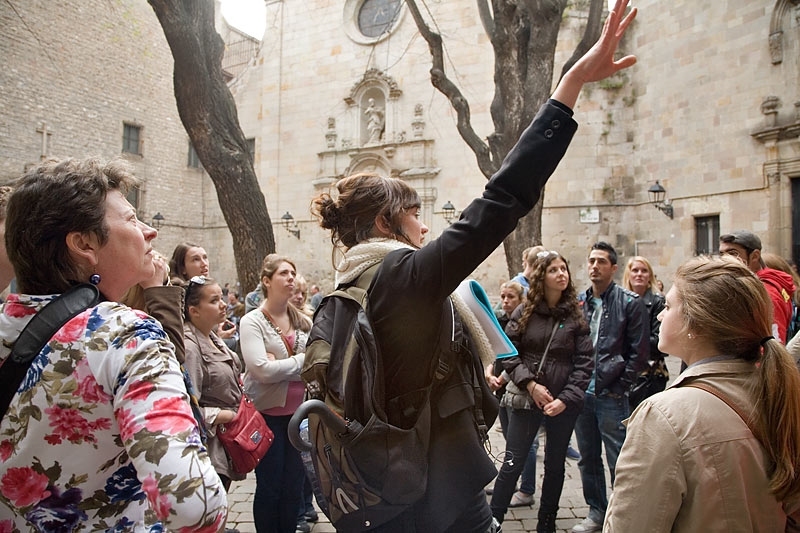 Here in beautiful Barcelona, there are several walking tour companies who design memorable tours with families in mind. Let them bring the city to life for you and your children with the local lore, facts and history that are plentiful here. It is such an enriching way for you and your family to experience this modern yet ancient coastal city. Modern and Ancient? Yes! Just like all of Europe. But somehow in Barcelona this juxtaposition is more pronounced and profound. Any visit to Barcelona, if only a few hours, will include a visit to something built by one of the city’s most famous artists, the architect Antoni Gaudi. Like Picasso, who was another resident of Barcelona, Gaudi was a genius. His unusual architecture will captivate you, and will certainly make your children look twice! 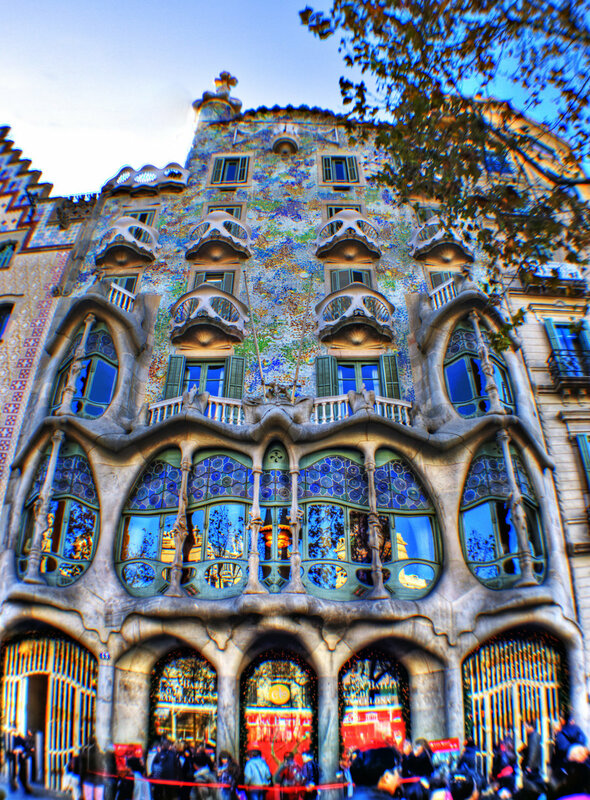 Take as an example his masterpiece Casa Batllo. Can you imagine living in a fairy tale? That must be what it felt like to live there. The house was built for Josep Batlló in 1904. Josep was a textile merchant and an aristocrat who was looking for a house that stood out, and was creative. And he got it! He and his family lived on the bottom floors, and rented out the upper rooms as apartments. The tiled roof on this singular creation looks like a dragons back, the balconies appear to be skulls with bones as support and the windows are wooden-framed, oddly shaped creations that you would expect a hobbit to pop his head out of! The Casa Batllo is just one of Gaudi’s many architectural gems that are found throughout Barcelona. 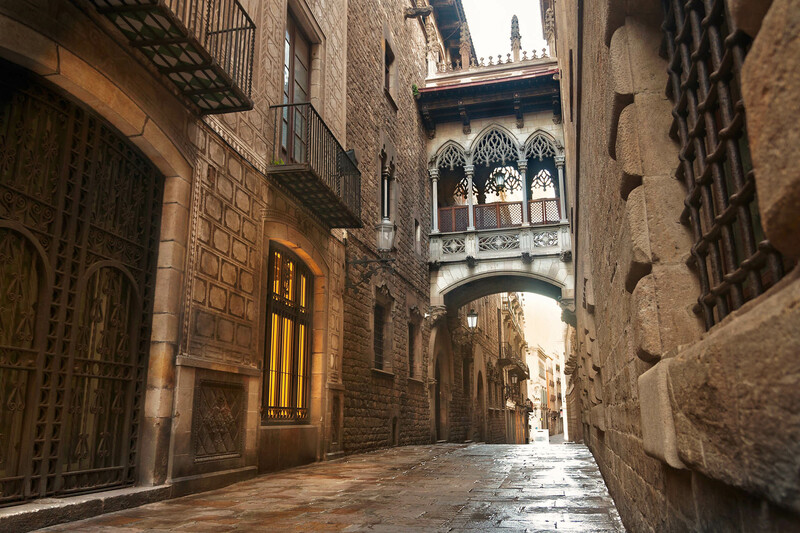 Another part of your tour is sure to include the Old City, or “Barri Gòtic”. Some of the twisty, narrow, cobble lined streets in the Barri Gòtic will remind your children of Harry Potters Diagon Alley! Young and old will appreciate the sense of history that this area of Barcelona evokes, where there is evidence of settlements that pre-date the Romans. Many gothic buildings here and it is a favorite location for Hollywood too. There are inner courtyards, shops and galleries, cathedrals, a synagogue and even some gelato shops! Speaking of gelato, how about The Museu de la Xocolata or Chocolate Museum! This is a definite must see on your tour. Located a short walk from Las Ramblas, you don’t need a guide to get you here; your nose will guide you. The museum is a private museum founded in 2000 by the Barcelona Confectionery Guild and offers a fascinating presentation about the history of chocolate. Your admission ticket is a bar of very good chocolate and the museum is highly rated on parenting blogs and sites like Trip Advisor, if you like chocolate, you will enjoy a visit here. 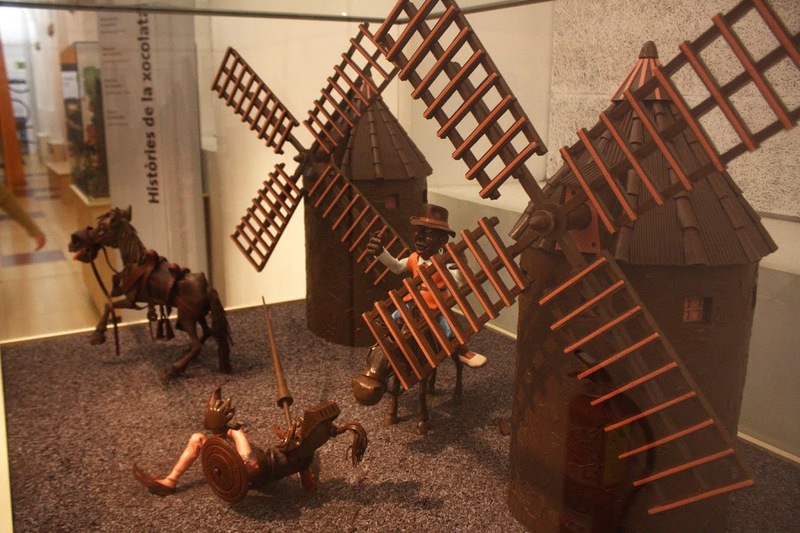 Especially noted by visitors are all of the chocolate sculptures at the Chocolate Museum – Museu de la Xocolata. Chocolate Museum – Museu de la Xocolata. So, to that we say, put on your sneakers, grab your camera and get ready to meet the city! If you would like to have more information, do feel free to follow our family hotel in Sarrià and get your request done.